The hottest competition in the freezing night! 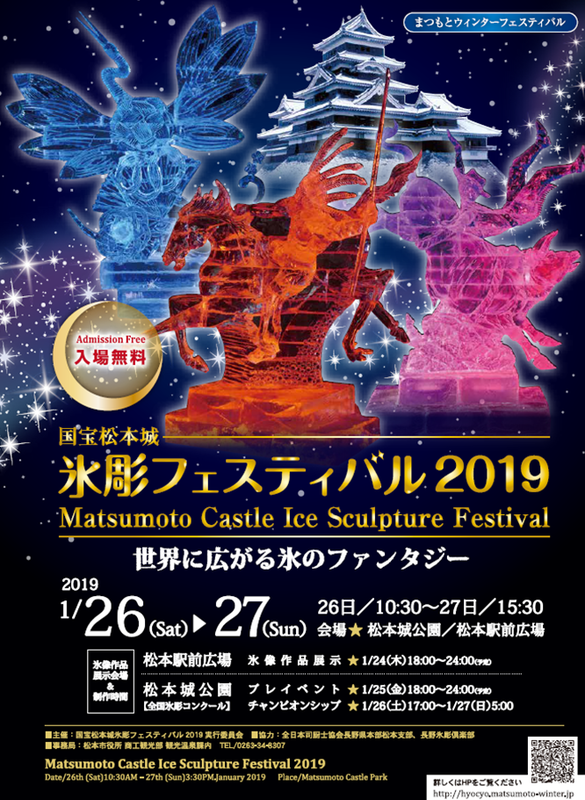 Matsumoto Castle Ice Sculpture Festival, one of the highlights of the winter in Mastumoto, will be held this weekend. About 20 teams will gather to compete in the "championship" contest. Exhibition: 5:00–15:30 Sun, Jan 27. Featuring young sculptors with less experience. Carving: 18:00 Fri, Jan 25 to midnight Sat, Jan 26. Exhibition: Midnight–14:00 Sat, Jan 26. *Schedules are subject to change due to weather conditions. Food stalls will be set up at the castle garden during the event. Music performances and kids activities will be also scheduled.